Steve Komarow, Matt Mansfield and Kris Viesselman get promotions. David Ellis is out. 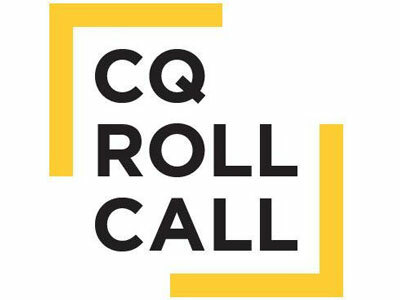 CQ Roll Call announced changes to its leadership structure today, including the promotion of Steven Komarow, Matt Mansfield and Kris Viesselman. Additionally, chief content officer David Ellis, who joined the publication from Bloomberg News in 2014, is leaving. Komarow, who had been vice president and news director, has been named executive editor and SVP and will be responsible for CQ News, working closely with Viesselman, who is now SVP and chief creative officer in addition to serving as Roll Call’s editor in chief, a position she took on in August following the departure of Melinda Henneberger. Under her new title, Viesselman, along with Komarow, will be responsible for all of CQ Roll Call’s editorial news staff. Viesselman will also focus on expanding multimedia efforts, especially in video, photography and data visualization, and oversee social media strategy. Mansfield, who is chief innovation officer, adds on the title of SVP as well. He’ll oversee the publication’s product efforts, including legislative data and tracking tools, and work on new product development. The changes cap a year of change at the organization, from major staff departures, including its publisher and associate publisher, to a redesigned site and focus on product and cross-platform coverage.